“The Wonderful World of Disney” production of Rodgers and Hammerstein’s Cinderella brought Whitney Houston to made-for-television movies. Whitney and her company, BrownHouse Productions, served as executive producers on the project. 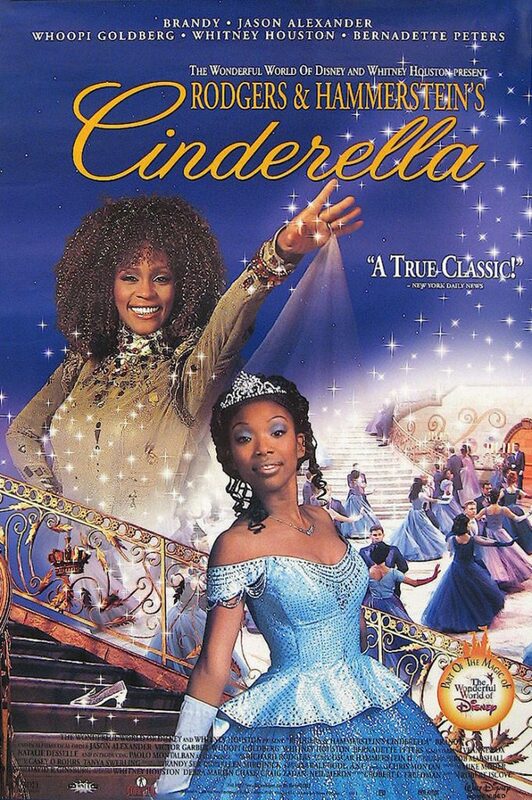 The movie was initially developed for Whitney to star as Cinderella, but she decided to cast Brandy in the role and play the Fairy Godmother instead. The ABC network special featured an all-star multicultural cast and attracted a U.S. audience of more than 60 million viewers, giving the network its best Sunday night ratings in more than a decade. The production received seven Emmy nominations, including Outstanding Variety, Musical or Comedy, and won the Emmy for Outstanding Art Direction in a Variety, Musical or Comedy Special. The home video version shattered previous records to become the best-selling video of a made-for-television movie.